The grocer switches to discounts on hundreds of items, like Hannaford, as both face increased competition for shoppers. 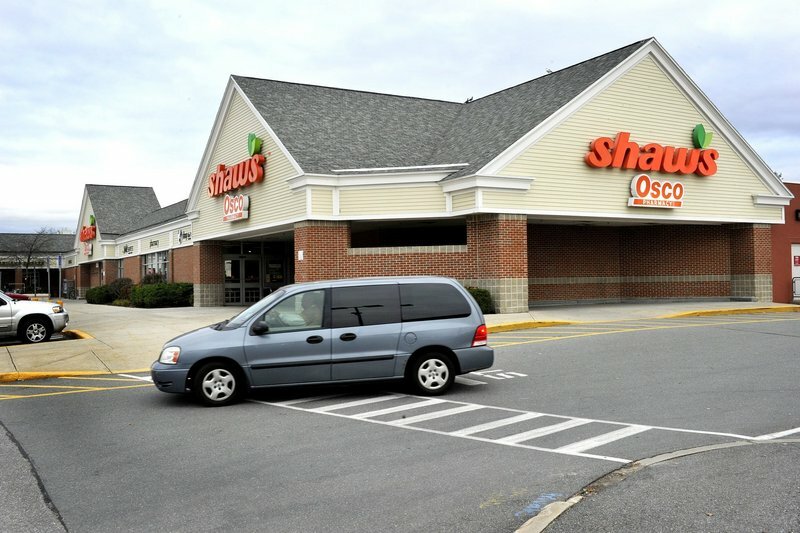 SOUTH PORTLAND – In a sign of growing competition in the grocery industry, Shaw’s said Thursday that it is dropping its rewards card program and cutting prices on thousands of items in its supermarkets. Hannaford Supermarkets introduced a price-cutting program last week, with Market Basket, a Massachusetts-based chain noted for its low prices, preparing to open a store this summer in Biddeford to compete with Shaw’s and Hannaford. Shaw’s is seeking to relaunch itself, touting a “You’re in for Something Fresh” advertising campaign. It is the first major marketing change for the company, which has 22 stores in Maine, since it was bought in January by Cerberus Capital Management, along with three other grocery chains. Shaw’s and Hannaford face increased competition from retailers that are taking a bigger share of the grocery market. While chains like Trader Joe’s and Whole Foods offer specialty high-end items, department, drug and discount stores are selling more groceries. A survey last year indicated that more than half of grocery purchases no longer occur in traditional supermarkets. Market Basket’s store in Biddeford, its first in Maine, will put more pressure on established chains like Shaw’s and Hannaford to hang on to customers. Market Basket is the first chain to enter Maine since Trader Joe’s arrived in Portland in 2010. Hannaford, which has resisted retailers’ trend toward rewards cards, said last week that it is lowering prices on a broad range of items. Mike Norton, a spokesman for Scarborough-based Hannaford, said prices were cut on about 4,500 items. He said the company looked at a random shopping cart of weekly groceries for a family, and it indicated savings of nearly 16 percent — $206 compared with $245 under the previous pricing. 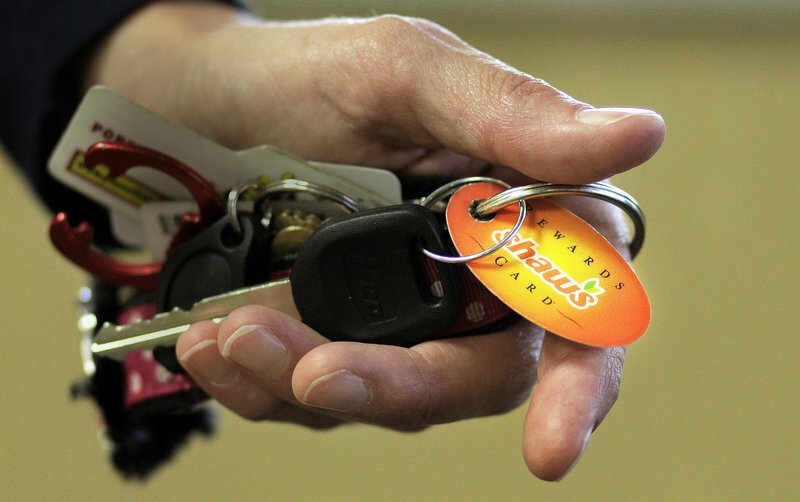 Steve Sylven, a spokesman for Shaw’s, could not provide information Thursday on how many rewards cards Shaw’s issued, and declined to provide specifics about its price reductions, citing competitive reasons. Shaw’s already competes heavily with Market Basket in Massachusetts. Hannaford began facing more competition from Market Basket in recent years as Market Basket moved into New Hampshire. Shaw’s laid off 700 employees in November, two months before the sale to Cerberus. It used to operate in all six New England states, but has pulled back in recent years and closed its stores in Connecticut. The chain, based in West Bridgewater, Mass., still has a strong presence in Greater Boston. Berger said the Shaw’s move to get rid of loyalty cards, and Shaw’s and Hannaford’s price cutting, are bids to shake up the market. “To this point, everyone was trying to outdo each other in loyalty cards,” he said. Berger said sharp competition that leads to price cuts is good for consumers. Albertson’s, one of the other chains purchased by Cerberus, announced this week that it is ending its rewards card discounts, retreating from a program that is in wide use in retailing. Many chains — including drugstores, hardware and sporting goods stores — use the cards to build customer loyalty, with special offers and discounts for card holders. Shaw’s program ends Friday. It required customers to have rewards cards to get sale prices, and apparently was popular, at least with current Shaw’s shoppers. “I love it,” said Marissa Gorman of Portland, who shopped Thursday at Shaw’s Mill Creek store in South Portland. Gorman said she kept an eye out for the bright-orange shelf tags indicating deals that were available only to card holders. Gretchen Stein of Cape Elizabeth said she thinks she has saved “lots of money” by using her card. She said she has shopped at Shaw’s for sale items and then gone to Hannaford for the rest of her shopping list. “It’s too bad that I have to do that, but I think that in the long run, it’s less expensive,” she said. Tania Wood of Cape Elizabeth said she felt the cards offered quantifiable savings. She said she also shops at Hannaford, Trader Joe’s, Whole Foods and Sam’s Club in search of good deals on food. Shaw’s clearly hopes that its move to lower prices on thousands of items will reduce that kind of store-hopping. The elimination of the loyalty cards is also aimed at drawing in shoppers like Rennie Donovan of Long Island. Donovan said she might be more inclined to shop at Shaw’s, now that the cards are gone. Sylven, the spokesman for Shaw’s, said customers who wanted rewards cards had to give their names, home address and email information. Shaw’s sent mail or emails to customers regularly, alerting them to special deals that might interest them, based on their buying habits. Correction: This story was revised at 9:17 a.m., June 28, 2013, to correct the spelling of Cerberus Capital Management.